I love horses and heroes. Give me a man wearing jeans and boots, with calloused hands and a tan line on his forehead. He takes his hat off in the house and at the local diner; he's not afraid to sweat. He can rebuild an engine and deliver a litter of kittens. He says ma'am and sir and Amen. From California to D.C., from Maine to Florida, he's the man who gets things done. And I write stories about him. Four brothers on a Wyoming ranch. What they need is women to love them. The Marshall brothers are in trouble, and Ford has come home to make things right. He didn't count on Caroline Donnelly and a bunch of teenagers getting in his way. 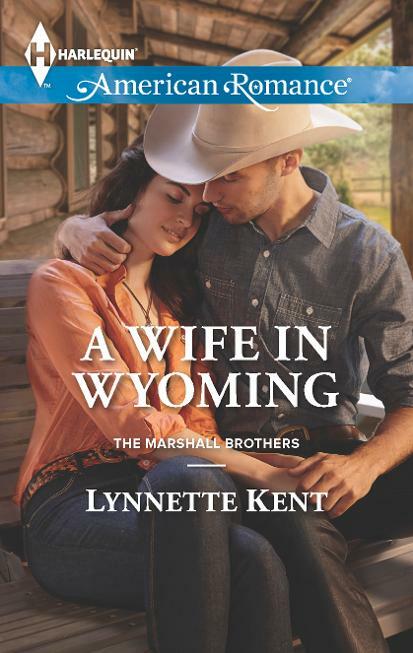 "The first book in the Marshall Brothers miniseries offers a tense, sensual romance accented by the emotional issues faced by the hero and heroine. Readers will look forward to meeting the women who bring the Marshall brothers the happiness they deserve."